Ethics is currently in a dynamic phase of progressing towards clinical application: strategic processes are underway in all affected areas of research. Furthermore, at the community level clinical ethics structures and practical procedures are to be improved under consideration of the recommendations of oncology experts. Dr. Utako Barnikol is an ethicist and clinician. She studied philosophy and medicine at the Georg-August-University Gottingen and the Heinrich-Heine-University Dusseldorf. She received her medical license on 9 November 2004 in Dusseldorf. On 28 September 2005 she received her doctorate with the highest honors from the University of Cologne. Her dissertation ‘Visually evoked responses of cortical areas V1/V2 and V5/MT after chessboard pattern reverse stimulation: magnetoencephalographic studies in combination with cytoarchitectonical probability maps’ was awarded the highest marks with distinction and published as a book by the publishing house at the Helmholtz Association of German Research Centres. During her doctoral research, Dr. Barnikol was integrated into basic scientific experimental methods at the Max Planck Institute and at the same time worked for many years as a clinical scientist in self-regulatory science management at the Helmholtz Association of German Research Centres. She has worked abroad at the University of Oxford and in Tokio (Keio University). Dr. Barnikol is the inventor of a US patent and the co-inventor of two EU patents for clinical applications. In 2008, as a continuation of her clinical-scientific translation work she was awarded a permanent position at the Medical Faculty of the University of Cologne. From 2009 to 2013, she was initially the deputy head of a research group and subsequently the head of two working groups on applied research. 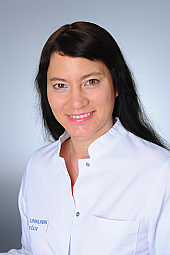 After being awarded the title of neurologist and psychiatrist on 14 March 2003 by the State Chamber of Doctors in Dusseldorf, Dr. Barnikol was appointed as a senior research doctor. Her work on the topic of treatment ethics, ‘Neuropsychiatric grace period – between symptoms and diagnosis’, performed together with the Medical Chamber of North RhineWestphalia and the Helmholtz Association, had already attracted attention. She subsequently became head of the research group on clinical neuroethics in February 2014. In the same year the dean, Prof. Dr. h.c. mult. Thomas Krieg, MD, invited her to answer socio-political questions at the Cologne location as part of the collaboration with the research centre on ethics. This initiative, performed with the executive board of the Medical Chamber of North Rhine-Westphalia together with Ulrich Langenberg, the head of the Department on General Questions in Healthcare, Social and Occupational Policy and Prof. Dieter Birnbacher, at that time Chairman of the Central Ethics Committee (ZEKO) of the German Medical Association in Berlin, attracted further attention in the field of joint decision-making (Dtsch Ärztebl 2015 & Prädiktive Medizin Prädiktive Medizin- MedR 2016). In November 2017, Dr. Barnikol became responsible for the Clearing Unit Ethics at the University of Cologne. The main focus of the Clearing Unit Ethics is on applied ethics in precision oncology (Research Group of Applied Ethics for Precision Oncology at the CIO Cologne, AEPO). AEPO and the Clearing Unit Ethics are affiliated with the Hospital 1 for Internal Medicine, led by Prof. Michael Hallek, MD, Director of the CIO Cologne Bonn and voting member of the CIO Steering Committee, the highest common decision-making panel within the two-location cancer centre CIO Cologne Bonn. A sharpening and clarification of the application of ethics, in particular at the level of applied clinical research, should further increase the scientific and strategic formative capacity of clinical ethics with regard to urgent economic issues. At the level of the CIO community, the Director of the CIO and the Steering Committee, as the higher advisory and voting committee, perform prominent functions in guiding practical ethics from a clinical-scientific perspective and in defining the future fields to be developed. Here, it is agreed that the clinical research fields and boards established with practical ethics can serve as a communication and strategy platform. Strategic development partnerships and new formats in business collaborations with complementary content. In particular, certain ethical questions in the field of precision oncology and economic issues in solidarity-based health care systems should be at the centre of this newly formed field.